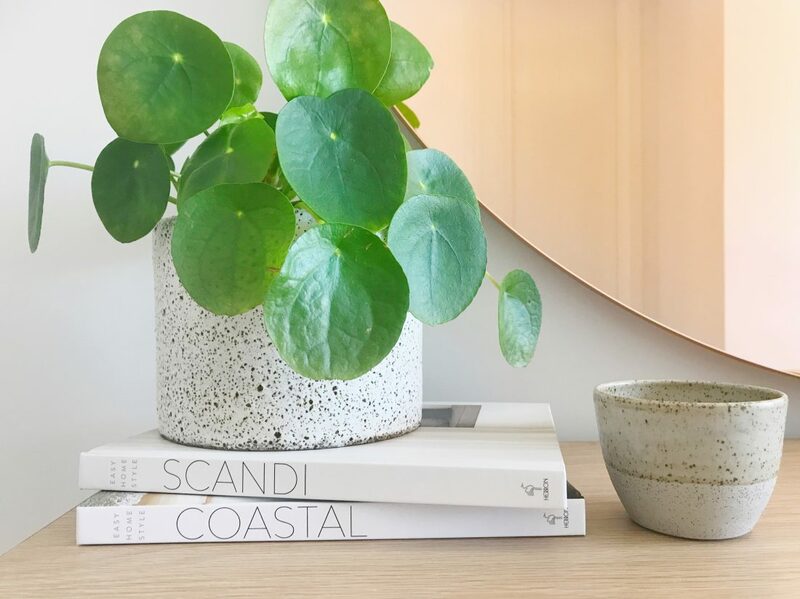 Without a doubt, the latest ‘it’ plant to take over interiors is the Pilea Peperomiodes! Yet this plant can be so fickle — Gina’s lasted all of three weeks before it shriveled and died — and it’s also one of the more expensive indoor plants. So today we invited two Pilea-caring queens on to share their secrets to keeping them alive and thriving! The Pilea, like most plants, likes well-draining soil. Use a combination soil to create a light mix that drains well. Sarah uses half potting mix and half cactus mix, whereas Natalie finds her Pilea thrives with orchid bark mixed in “It helps to aerate the soil and also provides some added texture,” she explains. Perlite (a form of volcanic glass) or Pumice (a porous volcanic rock) are other ways you could create a light soil mix that allows water to move freely around the roots while not drowning them. Another of Sarah’s tips is to keep the plant in a pot with drainage holes to avoid root rot i.e. she keeps the plant in a plastic container like those seen in nurseries and hardware stores, and places this into a pot rather than potting the Pilea in directly. Natalie also says you should avoid covering the soil with small rocks or pebbles as Pileas have most of their babies grow up out of the soil. Once a week is the right amount according to these ladies. 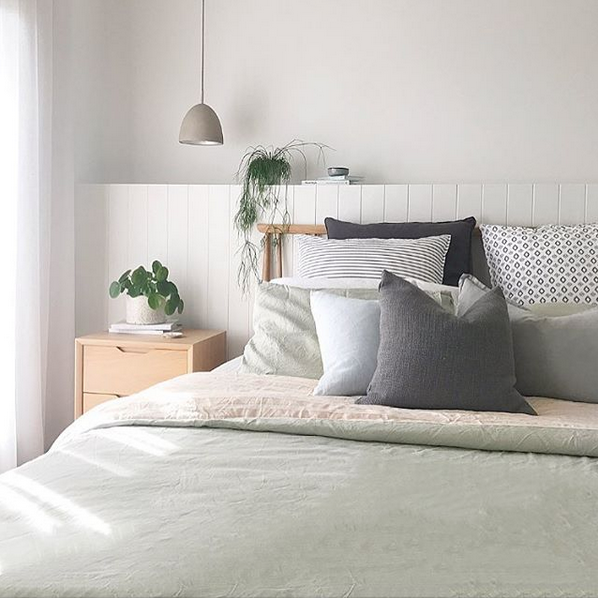 “The most important thing you need to understand though are the conditions in your house and the condition of the soil in the Pilea pot,” says Natalie. We like Sarah’s tip of developing a weekly watering routine for all your indoor plants too. Pileas enjoy light, bright rooms but not direct sunlight (although Natalie says early morning sun is ok). In south-facing rooms or on a kitchen island bench are two popular spots these plants will thrive. 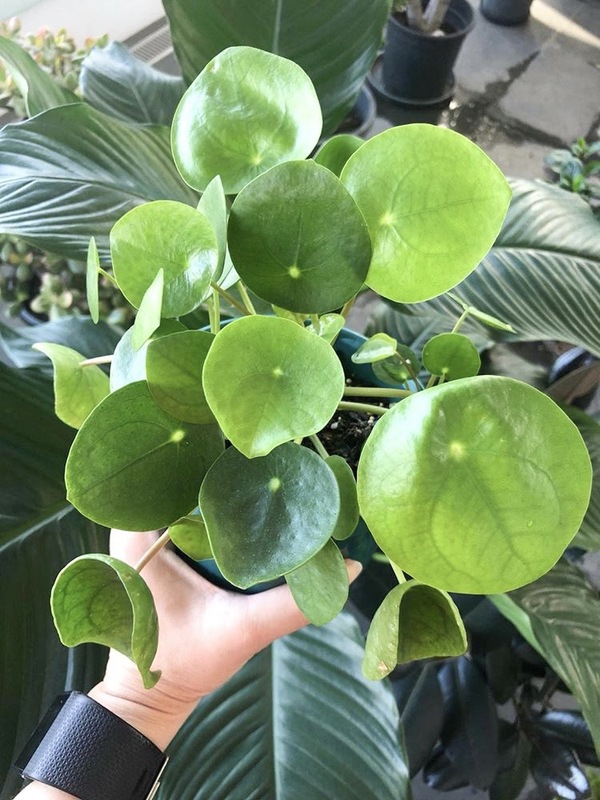 It’s easy to tell when your Pilea isn’t happy as it will let you know with symptoms of yellowing leaves, droopy leaves or shriveling leaves. Each symptom represents a different issue and the ladies explain what these are and what you should do about them. Droopy leaves is a sign that the plant is being over- or under-watered. Confusingly the same symptoms present but the issue is definitely watering! Touch the soil to find out — if it’s too dry, you’ll know the plant needs more water, and if the soil is moist, ease up on watering or you could cause root rot and kill it. The biggest killer of most plants is over-watering — don’t love them too much! If you see curled leaves (especially the bottom leaves) it is likely that you have over-watered so make sure you let the soil dry out completely before watering again. Curling of the top leaves could mean too much sun so move the plant away from harsh direct sun. If the bottom leaves turn yellow and are falling off it could mean a combination of things but most likely just old age. Either let them fall off or pull them off as they will unlikely recover. Yellowing leaves can also be a sign of over-watering though so check the soil and adjust your watering schedule if it’s moist. If you have brown spots on the leaves, it could be bugs so check to see. Browning could also indicate sunburn from too much direct sunlight exposure or over fertilizing. Despite the sensitive nature of Pileas, they are actually quite easy to propagate! Baby plants, or pups as they’re called, will pop up and grow out of the soil to create a whole new mini plant. Once it is at a reasonable size (5-6cms tall), you can gently remove them, being sure to keep the roots intact, and planting it into a smaller pot of its own (2 inch pot). Be sure to use the same type of soil as the mother plant and keep the same watering routine. New leaves should begin sprouting within a couple of weeks. Larger leaves can accumulate dust so this plant also enjoys regular showers or a good wipe down to keep the leaves clean. You can spray them with a regular spray bottle using the mist setting and give them a wipe. It’s also a good idea to fertilise in spring and summer using an all-purpose plant fertilizer (either liquid or slow release fertilizer). Most importantly, name your plants! It will make you more accountable to them and is a nice way of welcoming them into your plant family! 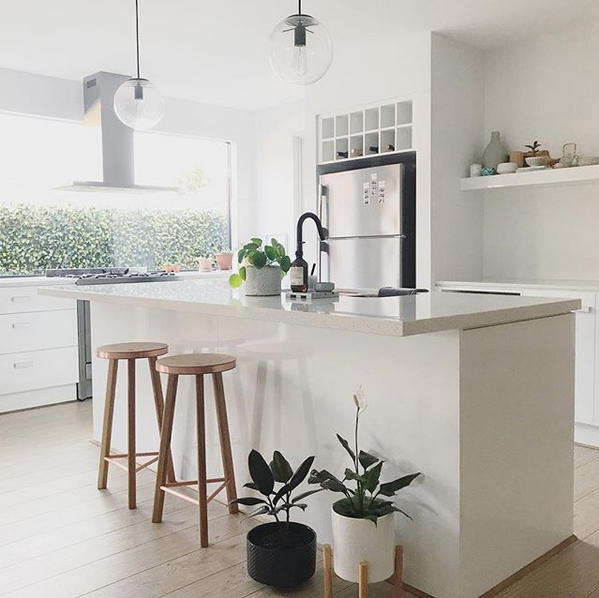 Sarah and Natalie are two interiors obessed, plant-loving women who’s Instagram accounts will make you want to start your own urban jungles if you haven’t already. 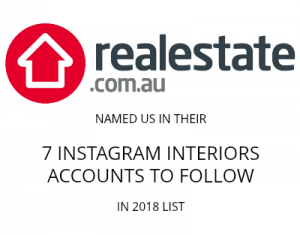 Check out their Instagram accounts @the.green.room_ and @the_interior_passion and connect with them! Next articleJoin the December #stylecuratorchallenge: Show us your minimalist styling!